“Innovation in hospitals isn’t new.” It may seem like an obvious statement, but as most health IT leaders can attest, it’s not. In fact, it’s a common misconception. 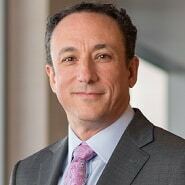 The reality, says Darren Dworkin, CIO at Cedars-Sinai, is that innovation has always been a core philosophy at academic medical centers. What’s novel is the focus around delivery of care, and the pivotal role digital technology can play facilitating communication and enabling patients to become more engaged. At Cedars-Sinai, innovation has always been part of the culture, whether it’s by being an early adopter of Epic’s Care Everywhere, working with Apple as a foundation member, or creating a “living lab” for startups through its Accelerator program. For Dworkin, this philosophy is the only way to move forward in the ever-changing health IT landscape. Recently, we spoke with him about the evolution in consumer engagement (and what it means for CIOs), how the recent Cambridge Analytica saga “opened peoples’ eyes,” the most significant way in which the CIO role has changed since he started 12 years ago, and what gets him most excited about the future. The fun part all these years later is that we’re now getting to enjoy what some of the benefits are when you have this agile system installed and in place. We continue to believe really strongly in the fact that we are trusted custodians of our patients’ data, but we certainly don’t own that data. It is our responsibility to make sure it’s available to them wherever they are. Our assumption is that Apple will begin to create an ecosystem of applications that plug and play with Apple Health in a trusted and secure way so that patients can not only access their information, but begin to make use of it. Getting patients an HTML copy of a C-CDA is not what they really had in mind. What they had in mind was being able to ‘download’ their medication lists and understand what they mean. There are enough people out there who have secondary use plans for that data that might be slightly nefarious or slightly more commercially-minded than patients really understand, and I think it’s important for folks to understand who they’re consenting to have their data, and what it means. Gamble: Thank you so much, Darren, for taking some time to speak with healthsystemCIO today. Gamble: I know most, if not all, of our audience is familiar with Cedars-Sinai — you’re a nonprofit academic medical center based in the Los Angeles area. Are you affiliated with any other health systems? Dworkin: Like most health systems across the country, we’re experiencing a lot of growth and pursuits of affiliations and partnerships. We are our own entity as Cedars-Sinai health system, and within that family is an array of ambulatory sites that we’ve affiliated with and brought into our various groups. Most recently, we’re proud of the fact that Torrance Memorial in Torrance, California has joined us through an affiliation. Gamble: And what’s the size of that facility? Dworkin: It’s roughly a 470-bed facility. Gamble: So this is a pretty big initiative. Dworkin: It is, and it’s characteristic of a lot of what’s going on in the greater LA area. Surprisingly, LA had been a largely unconsolidated region as compared to other large urban areas around the United States. Now, the same affiliation mania that has hit the rest of the country has finally found its way west. Gamble: As far as this particular facility, was Cedars-Sinai was trying to meet a specific need, or just strengthen the organization as a whole? Dworkin: I think a hallmark of Cedars has always been our strength and dedication to the community that we serve, and so we have been on the lookout for the partnerships that make the most sense. What we found in Torrance was a high quality, high performance organization that truly is serving its community, and so it made a ton of sense for us to figure out the right type of affiliation. There are some other practical benefits as well. In today’s day and age, size seems to represent some modicum of safety. For some of the more complex things we do, it also offers us the ability to scale those initiatives as we continue to think about our larger strategic plans. 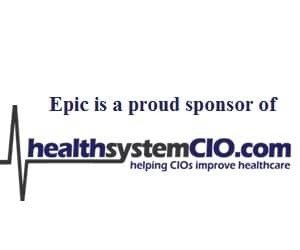 Gamble: In terms of the EHR, Cedars-Sinai is on Epic — is that fully live in the hospital? Dworkin: Yes, it is. Cedars-Sinai Medical Center and most of our affiliates are on Epic, although Torrance is doing well and is very happy with Cerner, and there are absolutely no plans to change that. Overall, our approach is what we used to call, ‘best of breed,’ which I think years ago was a euphemism for, ‘We have a little bit of everything.’ And we certainly did have a little bit of everything. When we first started our core EMR journey, we might have had more than a dozen or so EMRs. Of course, not all of them called themselves EMRs at the time, but looking back, we certainly would qualify them as being EMRs of some sort. And so we’ve been on the journey for some time to amalgamate that over to a single patient, single record. We’ve had a good deal of success around that. I think the fun part all these years later is that we’re now getting to enjoy what some of the benefits are when you have this agile system installed and in place. Gamble: Is Cedars-Sinai part of Care Everywhere? Dworkin: We are very proud to have joined that network very early on, and we continue to participate in working with Epic as a development partner and trying to push the envelope. We were one of the first organizations to go live with Happy Together, which is the feature that let patients begin to self-direct how they want to share information across various portals. We were told at this past Epic user group meeting that we were one of the first two to offer image sharing across the network. And so, we continue to believe really strongly in the fact that we are trusted custodians of our patients’ data, but we certainly don’t own that data. It is our responsibility to make sure it’s available to them wherever they are if they want to own that, and so we have a number of initiatives around that. Gamble: Can you talk about some of those initiatives? And so we were intrigued at the idea that Apple was really interested in helping patients facilitate getting copies of their record, and doing, in our mind, what Apple does best, which is transform and translate that data into a consumer-centric tool — the Apple Health Application — so patients can begin to see their information. While it seems a little bit basic, our assumption is that Apple will begin to create an ecosystem of applications that plug and play with Apple Health in a trusted and secure way so that patients can not only access their information, but begin to make use of it with the added benefit of some wonderful applications. Gamble: That seems like it could be the step that I think a lot of people have been waiting for as far as consumers being able to become more engaged. Dworkin: It’s been of interest to us for a while. Because we’ve been in this journey for so long, I think we’ve been able to witness the various stages. In the early stage, we would give ourselves high fives if we figured out how to transport the data from point A to point B. It took us a number of years before we started to understand that simply getting it from point A to point B doesn’t mean that it’s going to be used. I think that’s one of the biggest untold advantages of the Care Everywhere Network. It’s not just the exchange. Frankly, I think Carequality is probably a more basic level of those train tracks moving information. What Care Everywhere was able to do was to embed the information for clinicians at different sites of service in line with the workflow so that it got used and it got looked at. The parallel with the Apple work is that, for years, patients told us they wanted their information, and so we began to find all sorts of ways to get it to them. But it shouldn’t be that surprising that getting patients an HTML copy of a C-CDA is not what they really had in mind. What they had in mind was being able to ‘download’ their medication lists and understand what they mean. And so, being able to download meds from a health record that resides at Cedars-Sinai into a secure container like the Apple Health App, and then being able to download another application of their choice that perhaps translates or explains those medications, is really the end goal they’ve really been asking for. Gamble: When you’re talking about consumers and the need or want to have access to data, there’s an education component that needs to happen. How do you think that should be handled as far as letting consumers know what the data means and how to use it? Dworkin: It’s an interesting question. I think there are some pieces of it that we can take credit for as an industry, and some I would say we’re catching up on. What I mean by that is, when you look at the early days of personal health records — because we’re talking about themes that are similar to PHRs — it’s not that they were that different, I think consumers just weren’t ready to really interact with their data in that way. For some of our early installs of CPOE, we were drawing comparisons for physicians at the time that, ‘you’re doing most of your banking electronically. It’s only a matter of time before health records move to become electronic.’ Today, it sounds silly to even talk about a banking environment that doesn’t involve electronic transactions; similarly, it’s hard to find a facility across the country that doesn’t have some sort of EMR implementation. The reality is that patients have become more digitally-minded, more digitally-facile in terms of using their information. And so, a lot of the baseline education that used to fall on our health system’s responsibility for the most part has gone away. We all have a story of a youngster that can pick up an iPad and intuitively knows what to do. I think that’s a great example that, as a society, we’re becoming more comfortable with technology, and that spans different age segments. I think that piece has taken care of itself. For us, part of the responsibility with education that we’re taking rather seriously — especially these days — is in trying to find that balance. We don’t want to do it in a maternalistic way, but rather to share with folks, ‘look, you need to be careful when you have this information, because once you have it, you are now your own custodian.’ There are enough people out there who have secondary use plans for that data that might be slightly nefarious or slightly more commercially-minded than patients really understand, and I think it’s important for folks to understand who they’re consenting to have their data, and what it means.